If you've got it posted to me by 12/15 I'm sure that will be fine. It should get to me before the 31st that way easily enough. And I can assemble the gangs for their next journey to whomsoever might win. Please feel free to place pictures of your submissions in this thread. I'll post pictures of the gangs as they evolve with new arrivals. Happy holidays, all! May they be warmer than the hottest dice around our gaming tables and brighter than the most garish red-era paintjobs. Edit: If you were to include a card with your forum name, a description of the miniature in case they get separated, and perhaps your return mailing address that would make both attribution and return to the winner easier. I can save the boxes, of course, but . . . cards are smaller and can go in a file. Edit: We now have an official winner: OuterRimTim. Thank you everyone for your submissions. Last edited by symphonicpoet on Tue Jan 30, 2018 9:53 pm, edited 2 times in total. For once "not at the coo's tail" as we say in old Scotia. 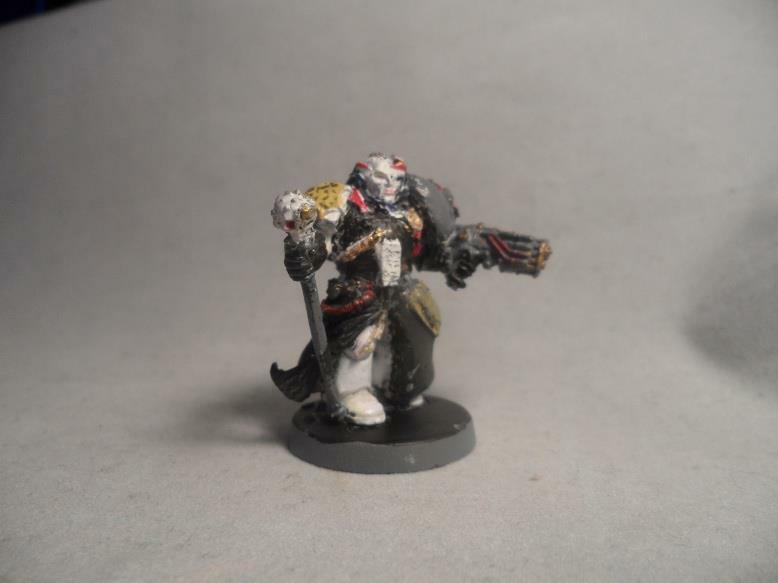 My submission is Josephus Capus Blancos Inquisitor of the Ordo Hereticus famed for his ability to identify the heretic and finish the game bringing the misguided to the emperors justice. 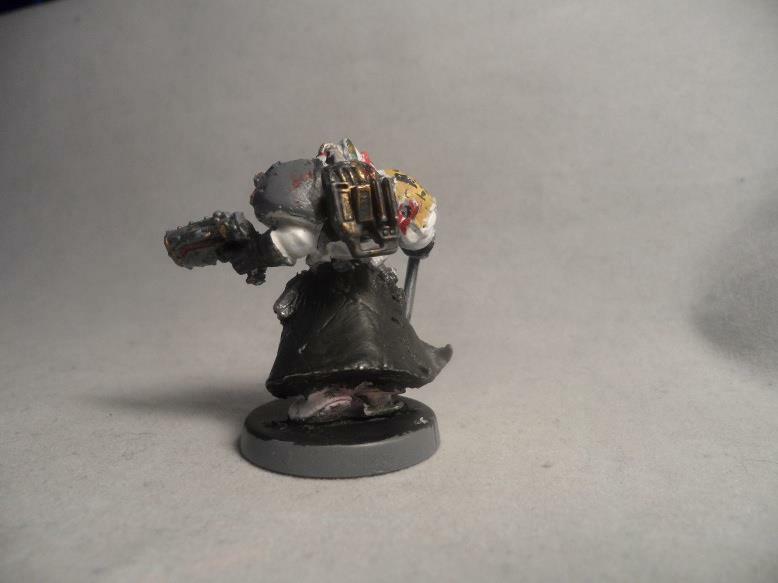 Based on a Fabius Bile figure and inspired by John Blanche's (another white reference - this is a bit much) conversion concept page in the Sisters of Battle codex - of which more to follow elsewhere. The beastman stepped off the ship into the hot, dry air of the strange border world. He was scouting the area for the inquisitor who was to follow. And the inquisitor would not like what he found. Even the spaceport walls were covered with anti-imperial graffiti. He shuddered to think what he would find in this reputed den of heresy in the town beyond. Doubtless mutants beyond counting, proscribed cults, lawless gangs. 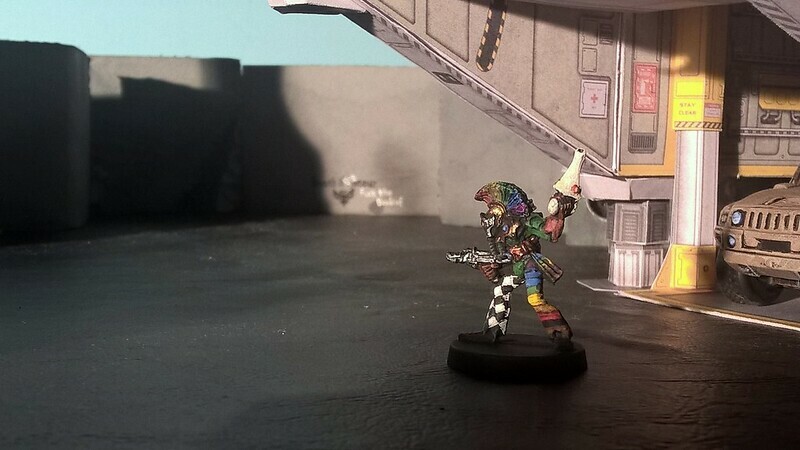 If only he could find that emperor-damned rainbow gang they were chasing . . .
Nice to know he made the trip in time and hopefully in good shape too. Now let's see the other participants. He came through in perfect shape. There's at least one ganger on the way now. It may be a little slow, but I expect this will ultimately come out just fine. Seems we get off to a slower start every year, but BOYL gets earlier. Odd that. 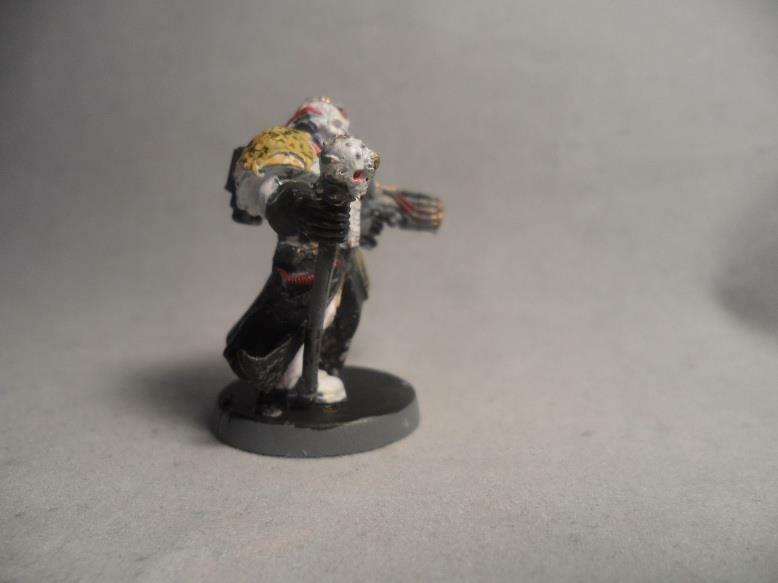 My inquisitor is on it's way across the pond. 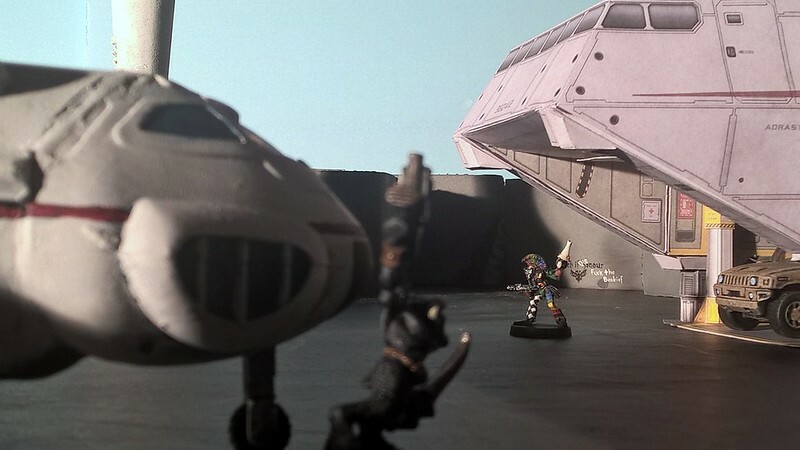 As another shuttle disgorged its payload onto the planets surface the beastman Krashnak watched. A godsbedamned elf in head to toe rainbows had just emerged into the glare of the sun. That cursed gang the inquisitor was investigating must be on the move. This would be a most interesting report. All of which is to say that my own submission has arrived safely after his very long trip across . . . well, one spot on the rim to another. Let's say Proserpine to Blanding. Looks like an eldar actor has decided to bring the gang some highbrow Commedia.